"Having the same thoughts. Likely millions others are too. 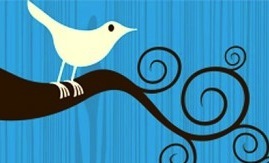 The whole point of twitter is the elegance of minimalism." "I agree: RT @lighteur TWITTER’S DESIGN DECLINE goo.gl/kHd0xZ "
"Didn't even see new design yet: not rolled out here yet, but all I hear is negative.So many brands were function follows bad form!" Yes, why is every social media site copying every other? I actually liked how Twitter had its own unique style. Now, the header image takes up so much space, I can only see one tweet without scrolling. And the "followers" list is impossibly confusing to scroll through. The whole point of Twitter is brevity and simplicity, just show me the tweets. I think it's about the money, but this mess is turning people off. As you say: "..just show me the tweets." "Glad they left our personal timeline and notifications alone but changing everything else for the worse is ridiculous."